For Vietnamese, fermenting is a favorite way of cooking pork. This comes in many variations around the country, but the recipes are quite similar. Fermented pork (nem chua) is made by wrapping minced or pounded pork, pork skin, spices, and guava or fig leaves in a thick layer of banana leaves. In 3 to 5 days the pork ferments and turns sour. It can be shaped like a box or a stick. In some places, people eat fermented pork with chili sauce. In others, the pork is squeezed into small pieces. Some people even enjoy grilling or frying the pork which adds a fatty savor to it. Vietnamese sausage, also called gio lua, is a popular dish. The dish, made from minced pork, is a popular dinner dish, eaten stuffed into baguettes or as a snack. It is a must in the New Year meal. To make the dish, people mince the pork, wrap it in banana leaves and steam it until cooked. 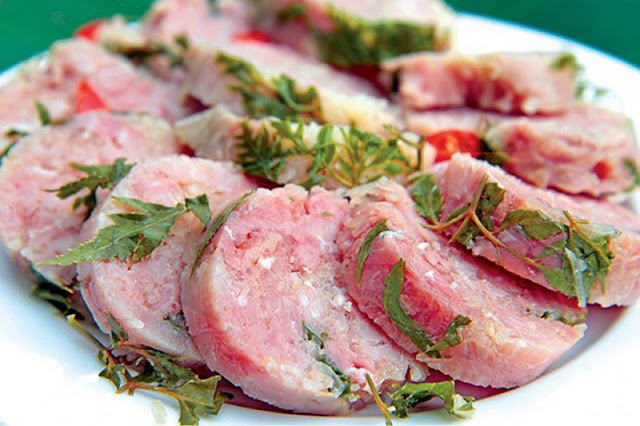 Vietnamese sausage has a mild taste and is not salty or greasy. It is thus a favorite with people of all ages. Pigs’ feet may look a bit strange to some people, but it is a nutritious ingredient in a soup or stew. Pork feet soup is often recommended on a cold day, while braised trotters is a dish many like to eat with a bowl of hot rice. In the days leading up to the Lunar New Year people go to the market and buy the cleanest, freshest trotters to cook a sizzling bowl of bamboo shoot soup. The feet are chopped into smaller pieces and braised in a pressure cooker. The meat stock, with spices and bamboo shoot added, makes for a warm soup to start a new year. 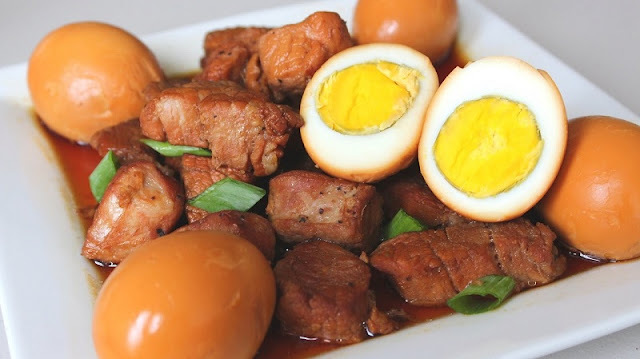 Braised pork belly with eggs is a popular dish in everyday meals in Vietnam. The dish is usually prepared for a meal in the busy Lunar New Year because it can be preserved for a long time. Before cooking, it is essential to caramelize some sugar. It is cooked in a pan until it turns into a brown liquid, which is added to the braising pot to give the dish its beautiful brownish color. The dish whets one’s appetite with a combination of fatty elements from pork belly and the eggs soaked in spices. But despite the attraction of the meat and eggs, some people just enjoy a bowl of rice with the braised stock. Offal refers to a pig’s organs like heart, liver, spleen, stomach, kidney and others. They may not appear that appealing, but its taste is loved by Vietnamese. 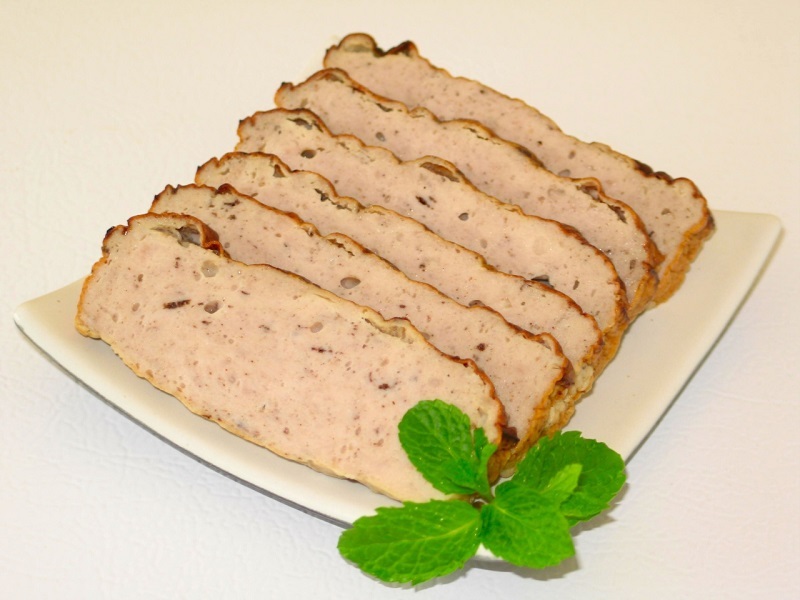 One popular offal dish is a kind of sausage made by filling pig’s intestine with blood and vegetable. Some people just enjoy steamed stomach, tripe and liver. 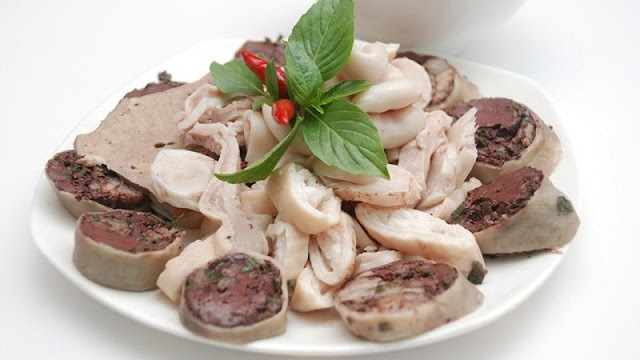 Offal is among the most popular foods to enjoy with a glass of beer or liquor. 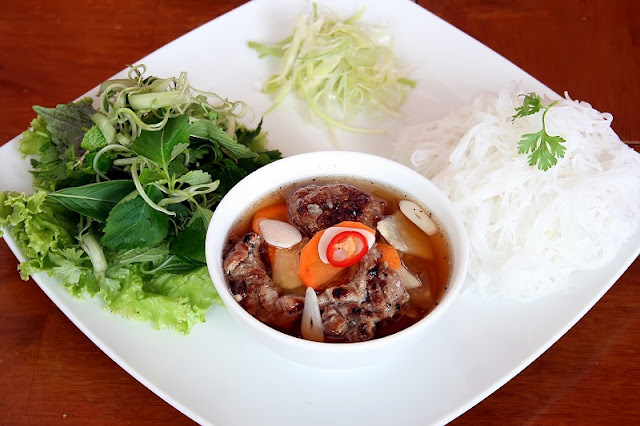 Last but not least, pork features in the renowned Vietnamese dish, bun cha. Bun cha is a combination of three main ingredients: rice vermicelli, grilled pork and a sauce. The white, smooth vermicelli is usually a little sour. 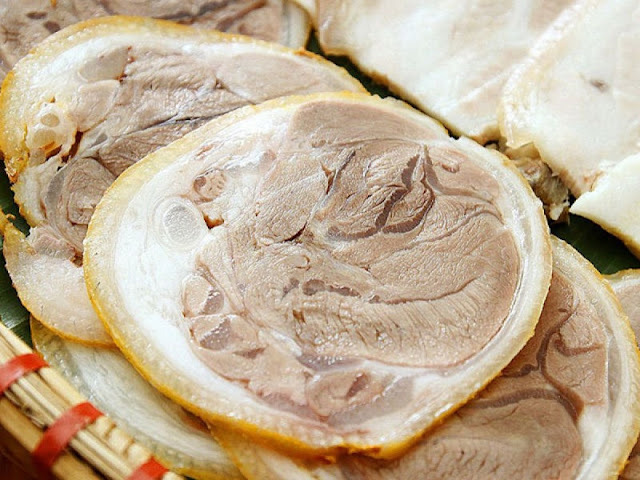 Fresh pork needs to be minced or diced into medium-sized pieces and marinated in a mixture of fish sauce, garlic, sugar, and onion and then grilled on coal. The dipping sauce completes the dish with a mixture of fish sauce, sugar, lime juice, garlic and chili. Indeed, a vacation in Vietnam cannot be perfect without good food. Follow Vietnam Travel Magazine to update interesting destinations as well as delicious food in Vietnam to have a perfect vacation in Vietnam.